The Catalent Institute and world-class experts from the University of Saarland, 3M, BASF, Catalent Pharma Solutions, Hovione, Agere and Formac Pharmaceuticals came together at the Novartis Campus in Basel, Switzerland for “Overcoming Bioavailability Challenges,” a complimentary training event focused on drug development and delivery challenges facing R&D teams today. Download the Full Agenda including speakers. 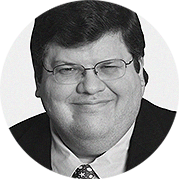 Dr. Stamoran has spent nearly 25 years engaged with the healthcare industry, and has experienced the realities of patient adherence and outcomes enhancement from almost every stakeholder perspective: from direct engagement with retail and hospital pharmacists; medical professionals; specialty pharmacies and clinics; and pharmacy benefit managers and payers. He has directly participated in adherence and outcomes enhancement strategies for more than 150 drugs over the last 10 years. 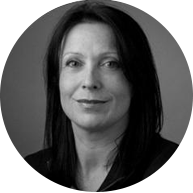 Ms. Robinson has over 25 years of experience in pharmaceutical strategy, development and program management. Her expertise includes bringing business and technical leaders together to create shared vision and achieve mutual objectives. Prior to her current role, Ms. Robinson was Executive Director of Global Accounts responsible for Catalent’s largest strategic customers and was named Executive Director of the Catalent Applied Drug Delivery Institute as of February 2013. Ms. Robinson holds a Bachelor’s degree in Psychobiology as well as a Certificate in Aging Studies from The University of Virginia. Dr. Claus-Michael Lehr, professor and head of the department of drug delivery (DDEL), Saarland University and advisory board member of Catalent Institute has spent more than 15 years leading research into ways to overcome biological barriers to effective drug delivery, and the development and formulation of appropriate carriers to transport active pharmaceutical and biopharmaceutical molecules to desired targets. He has co-authored many notable publications on the development of sophisticated in-vitro models that more accurately represent the epithelial cells and tissues concerned in transport, and the application of nanotechnology to improve in-vivo delivery to such therapeutic targets. Andreas is supporting BASF’s activities in hot-melt extrusion technology. 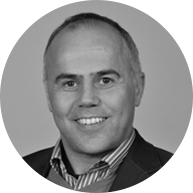 Andreas’ expertise is mainly on Solubility Enhancement, controlled release systems, low temperature melt extrusion prohnology from University of Applied Sciences Magdeburg in 1999. Andreas Gryczke has co-authored 8 research papers, book chapter, 8 patents and numerous conference abstracts. He is invited reviewer for the European Journal of Pharmaceutics and Biopharmaceutics. 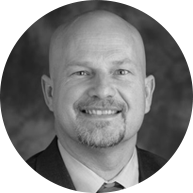 Andreas is member of International Association for Pharmaceutical Technology and he is member of the American Association of Pharmaceutical Scientists. 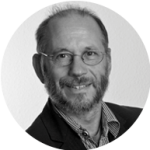 Uwe holds a PhD degree in Pharmacy and is certified specialized pharmacist for pharmaceutical analytics (Fachapotheker). Uwe has a broad background of pharmaceutical science and held functional and leadership roles in Quality, Operations and R&D at Altana, Grünenthal and Catalent. 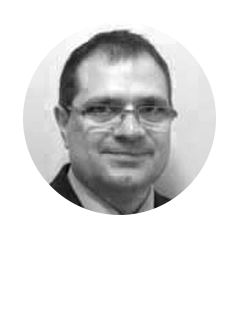 He is a specialist in oral solid dosage forms and modified release technologies. Uwe is member in the APV and DPG. Dr. Julien Meissonnier has 15 years of experience in pharmaceutical development and leads Catalent’s European R&D Platform for the development of lipid-based drug delivery solutions. He provides technical and scientific leadership for the development of poorly soluble drugs that lead to approvable regulatory dossiers. Mr. Meissonnier received his Engineer Degree in Physico-Chemistry from the ISMRa in Caen, France. 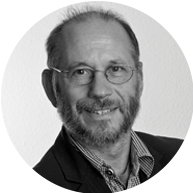 He is an expert in his field and currently sits on the Board of Directors with the Alsace BioValley life sciences and healthcare cluster based in France. As a board member, he supports Alsace BioValley in its efforts to continue driving growth in the life sciences by identifying and coordinating ambitious projects that will create employment opportunities in the region. Dr. Michiel Van Speybroeck is currently Chief Scientific Officer at Formac Pharmaceuticals, where he oversees the company’s internal and external R&D programs. Michiel has a broad interest in enabling technologies for poorly water-soluble drugs, and his key expertise is in the use of silica-based materials for solubility enhancement. He authored five research papers and a book chapter on this topic, and is inventor on two patent applications. Michiel obtained his Ph.D. in pharmaceutical sciences from the University of Leuven. Filipe holds a Ph.D. in Chemical Engineering from the University of Birmingham, UK. Before joining Hovione he worked in particle engineering using supercritical fluids. At Hovione he led the implementation of spray drying and then directed the R&D group that developed further the technology. 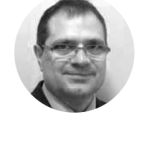 He was involved in +120 projects and was the lead scientist of several projects that reached commercial stage, including the first at Hovione submitted under Quality by Design. Before becoming a business leader, he was the Director of Drug Product Technologies with responsibility for selection and implementation of new technologies within the company. Dr. Gapp’s background is in molecular biology and microbiology. She has held various technical and commercial roles within 3M Health Care focusing mainly on medical devices. Dr. Gapp’s current role is overseeing 3M’s Transdermal Drug Delivery platform in EMEA, including microneedle technology. Dr. Marshall Crew has 17 years of experience improving oral bioavailability with solubilization technologies. Marshall has spent his career developing technologies for the delivery of poorly soluble drugs, and then managing their application to achieve client success. Recognized as an innovator in drug delivery and solubilization, he has over 28 patents and patent applications to his name on various drug delivery platforms including controlled release, nanotechnology and solid dispersions. His scientific expertise includes formulation design and development, solid state characterization of drug substance and product, and computational modeling (predicting shelf-life and pharmacokinetic and bioavailability for oral, devices and parenteral delivery). 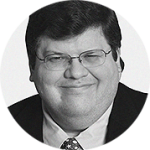 Marshall holds a PhD in Physical Chemistry from Oregon State University, and is a member of Agere’s Board of Directors. COULDN’T MAKE THE TRAINING EVENT? Interested in details for future training events or want to participate as a subject matter expert? Want to download event materials and resources? Contact us to receive future information from the Catalent Institute.